Early this morning, Trilobyte Games, developers of the classic CD-ROM game The 7th Guest, started pushing out tiny whispers on their Twitter account that they would be bringing that game to the iOS platforms. Just moments ago, they again confirmed the existence of a The 7th Guest port coming to iPhone, iPod touch, and iPad on their Facebook page. Trilobyte was closed down in the late 90s, and is now being resurrected to bring this official port to the App Store. 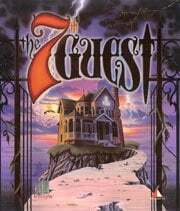 The 7th Guest was one of the first CD-ROM games when it released back in 1993. Many people consider that it, along with the similarly popular Myst, helped usher forth the CD-ROM gaming era. Bill Gates is even remembered for calling The 7th Guest “the new standard in interactive entertainment". No doubt that if you were a PC gamer during the early 90s, then you have some fond memories of The 7th Guest. No real details are known about the iOS port, other than it should be the game in its entirety with reworked touch screen UI and that it should be available sometime in December. You may remember from the iDOS phenomenon last week that The 7th Guest was successfully up and running on that emulator, but now it seems that you won’t need a banned app or some iOS trickery to enjoy The 7th Guest come December. There is an upcoming games thread in our forums for The 7th Guest that is brimming with excitement over the announcement, and we’ll bring you any new information as soon as we get it.